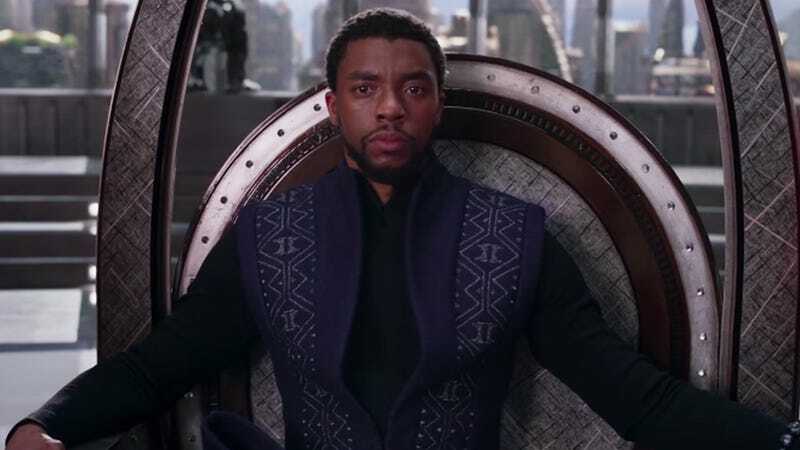 The Academy has released its list of nominations for the 2019 Academy Awards and Marvel’s Black Panther has received a whopping seven nominations including Best Picture, Production Design, and Costuming. That makes Black Panther the first superhero film ever to be nominated for Best Picture—and Marvel’s first female production designer, Black Panther’s Hannah Beachler, has also made history as the first African-American person nominated for Best Production Design. The film now holds the second-most Oscar nominations for a superhero or comic book film—10 years ago, The Dark Knight received eight nominations and won two, including Best Supporting Actor for the late Heath Ledger. Sadly, Black Panther wasn’t nominated for Best Makeup and Hairstyling (a recognition it certainly deserved), despite that being a category Suicide Squad won back in 2017. It also wasn’t nominated for Best Visual Effects—despite Marvel’s now-deleted tweet claiming otherwise (Avenger: Infinity War was nominated in that category). Whoopsie. Elsewhere, Golden Globe winner Spider-Man: Into the Spider-Verse was nominated for Best Animated Film, alongside Incredibles 2 and Ralph Breaks the Internet. A Quiet Place got a nomination for Best Sound Design, which is surprising but strangely appropriate. Mary Poppins Returns, which received several nominations at the Golden Globes, was largely snubbed this time around, being ignored for Best Picture and only garnering a few nominations—none of which were for acting or writing. Another notable snub belongs to women behind the scenes. This was yet another year with no women were nominated for Best Director or Best Cinematography. Also, none of the films nominated for Best Picture were directed by women. Again.